The BAFTA television awards threw up a series of surprises last night. Perhaps the most surprising of said surprises was the surprise surprisal of the BBC Olympic coverage failing to land any gongs whatsoever. Despite having effectively redefined British national identity in one fell Danny Boyle shaped swoop, the opening ceremony’s tasteful frolic through Albion’s psyche received no recognition at all. Indeed Channel 4 waltzed off with the sports and live event prize for its Paralympics 2012 programming, which in fairness was excellent, risky and paradigm shifting. Sky Atlantic's magnificent drama Game of Thrones won the ‘viewer’s choice’ award voted for by the public despite having relatively small viewing figures. ITV documentary The Other Side of Jimmy Savile, which exposed the old wrong un as a sexual predator and sparked a cataclysmic crisis at the BBC failed to win the current affairs award. With a hefty dollop of irony, it was beaten by a BBC documentary exposing paedophiles in the Catholic Church - BBC2's The Shame of the Catholic Church, part of its This World documentary series. "I'm a little bit embarrassed to be singled out among a wealth of really good broadcasting talent on both Games, but damn pleased it was me," said Balding. "We're probably living in the strongest era ever of women's sports presenters and I think you need a generation that is strong to help inspire the nine-, 10- and 11-year-olds who now want to do that." 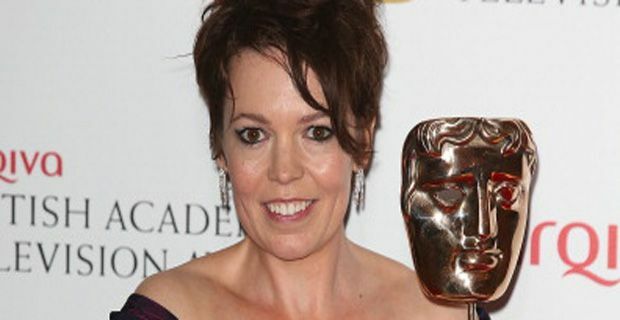 BBC2 was the biggest winner on the night with eight awards while Sky Atlantic won three – a worthy reward for highlighting the finest US dramas. Somehow the appalling Alan Carr also won an award. As did Made in Chelsea. Takes all sorts eh! !